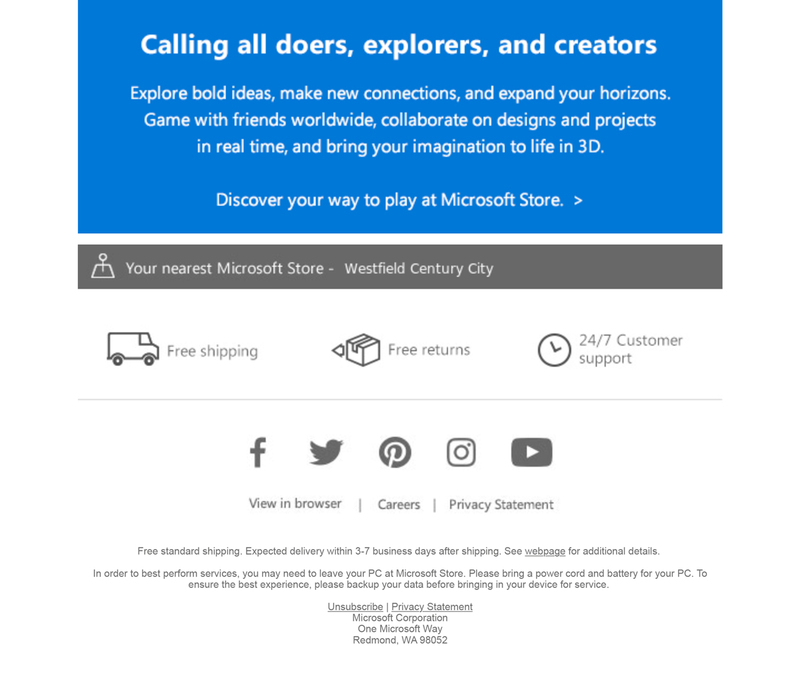 The Microsoft Store is similar to the popular Apple Store concept, which has been largely successful. The concept aims to give a greater level of customer satisfaction by not only having sales staff but also employing “Technical Advisers” (similar to Apple’s “Geniuses”) to assist customers with technical questions and issues. 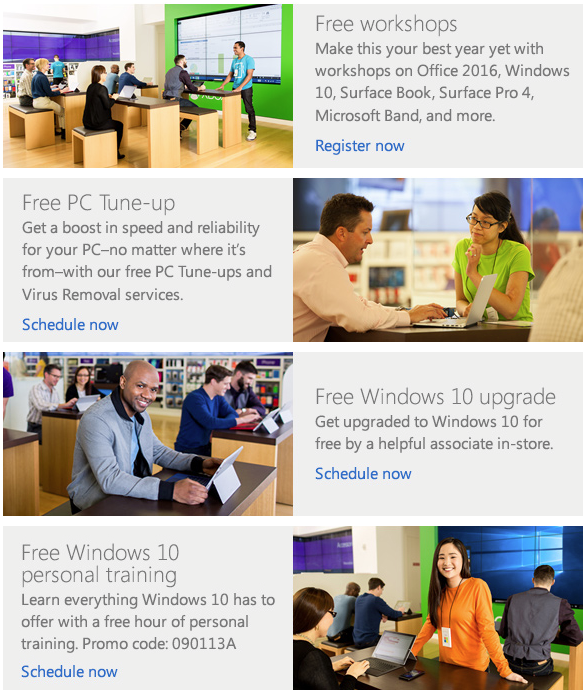 In addition “Specialists” (or trainers) are employed to show customers how to get the most out of their software. Xbox Ones are also available to entertain patrons. The closest stores to the LA South Bay are in Costa Mesa (South Coast Plaza) and Westfield Century City (10250 Santa Monica Blvd, Los Angeles, CA 90067 — on level 1 of Westfield Century City near Bloomingdale’s and Pinkberry). 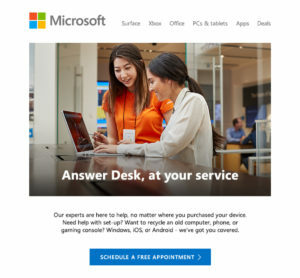 Microsoft’s Answer Desk provides both in-store and online PC support. 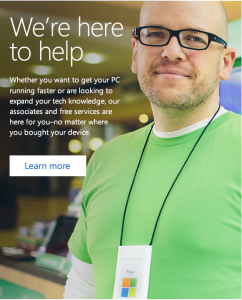 They offer free in-store services, $49 in-store services, Assure Software Support Plan, and Data Recovery Services. Their online Answer Desk has partial names (like “John P”) and photos of Answer Tech’s with the number of cases they’ve handled. Most services are $99. The 1-year Assure Software Support Plan is $149. 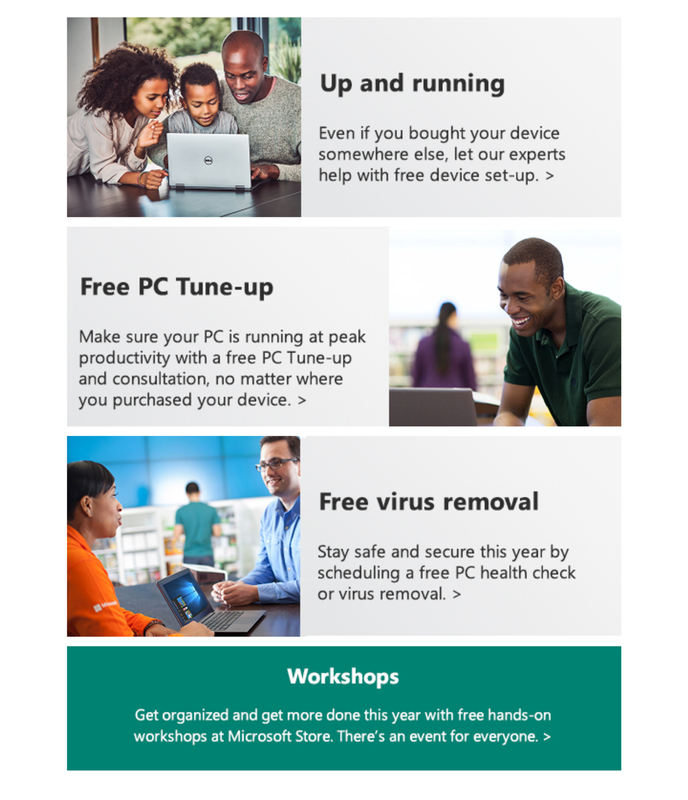 Whether you need help with Windows, Office or you’ve got an issue with your PC, our trained experts have the answers you need. Any Answer Tech can help you find the perfect service to keep your computer running smoothly. 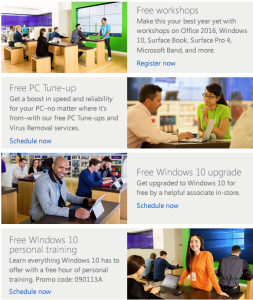 The stores also provide one-hour $49 courses: Windows 8.1, Windows Phone, Word 2013, PowerPoint 2013, Excel 2013, OneNote 2013, Windows Essentials, Skype, Internet Explorer 10 & OneDrive. 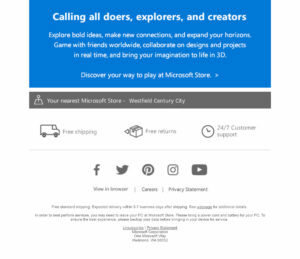 In-store services may be scheduled online. While I have not personally visited a Microsoft Store or used their Answer Desk as yet (so I cannot compare that with Apple Store’s), their services certainly are an option to consider when the need arises, especially if you prefer a more focused retail experience.